DUMBARTON had to settle for a point when Queen of the South visited the YOUR Radio FM l03 Stadium on a very chilly night. In the end a 2-2 draw was probably a fair outcome, but the home side thought that they had won it in the dying minutes when Ally Roy netted. However the offside flag was up against Greg Morrison. Sons took an early lead when Callum Fordyce conceded an own goal, but Queens battled back in the second period when ex-Son Stephen Dobbie converted a penalty. 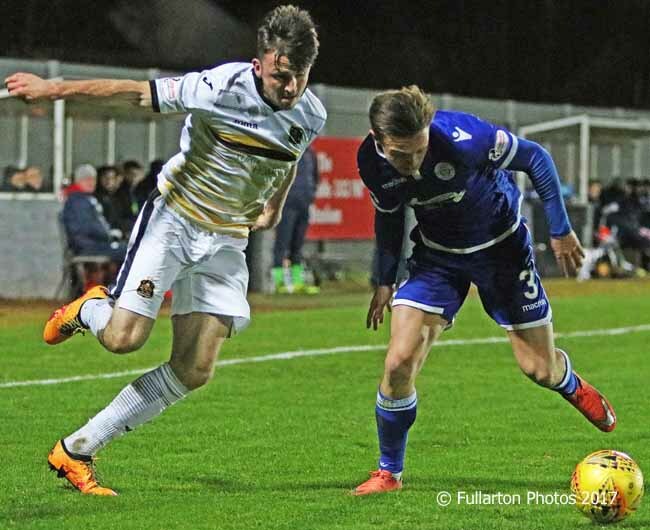 Dumbarton looked to have won the game late on when Greg Morrison headed home for his first goal for Sons, only for the Dumfries team to equalise from a Sons own goal by Sam Wardrop, who was still named Sonstrust man of the match. Calum Gallagher is pictured battling with Jordan Marshall.